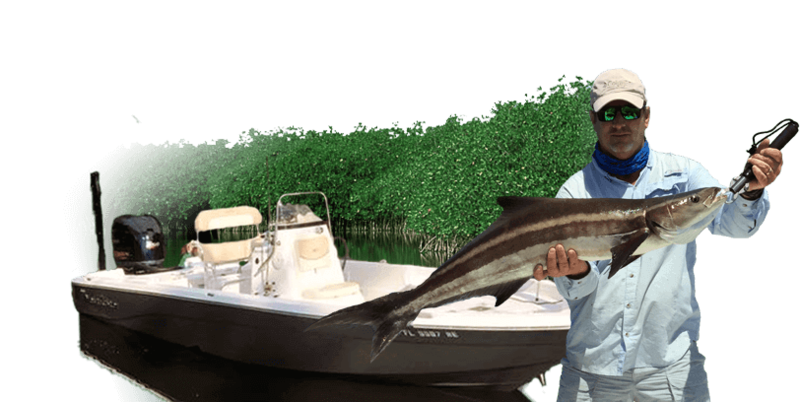 For flats fishing at it’s finest, come along with Capt. Glen Touchton and fish the pristine, unspoiled waters of Homosassa, Ozello, and Crystal River, Florida. The grass flats here are crystal clear and surrounded by hundreds of mangrove islands. 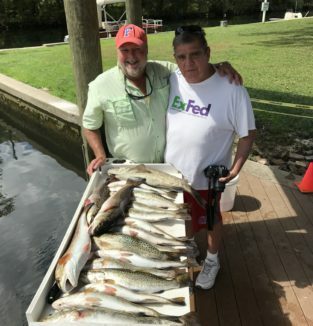 Homosassa and Crystal River waters still remain some of the best flats fishing and nearshore fishing in the state. If you’re looking to charter a Florida flats fishing guide, I hope to hear from you soon. I’m a Native Floridian, and have been fishing the Homosassa, Crystal River, and Ozello area all of my life. Fortunately, I’ve been able to take a favorite pastime and develop it into a full time profession. A lifetime spent fishing the waters of this area has provided me with the knowledge to put my customers on fish at the right time, at the right place. I fish out of a custom 244 XTS NauticStar bay boat. This boat skims across the shallow water flats so we can fish for Redfish and Trout and can go offshore for Grouper and Cobia. My boat is also equipped with a bow mounted trolling motor for an extremely quiet approach. I can comfortably accommodate up to 4 anglers. Citrus County, Florida is conveniently located and just a short drive from Tampa, Gainesville, and Ocala. Crystal River is only about an hour and a half drive from Orlando, making it an ideal location for a Florida family vacation. I encourage anyone considering a Florida vacation to come visit the beautiful unspoiled nature of Citrus County. 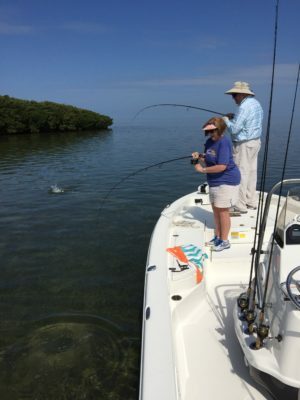 Fishing charters often include close encounters with manatees, eagles, osprey, and playful dolphin. Crystal River and Homossasa are famous for the abundant population of manatee, especially during the winter months. Swimming with the manatees is an opportunity you don't want to miss out on. The Crystal River, Ozello, and Homossasa waters provide fisherman with ample opportunity for a wide variety of fish. 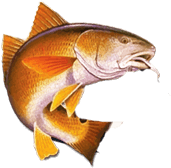 Common species of fish include Redfish, Trout , Cobia, shallow-water Grouper, Sheepshead and Tarpon. Redfish are plentiful here year round. Trout, Cobia, Grouper, and Tarpon tend to be more seasonal. Any fisherman familiar with fishing for Reds knows the adrenalin-rush of hooking up on a big bull red! Whether you've been fishing all your life or just a beginner, flats fishing for Redfish is awesome!